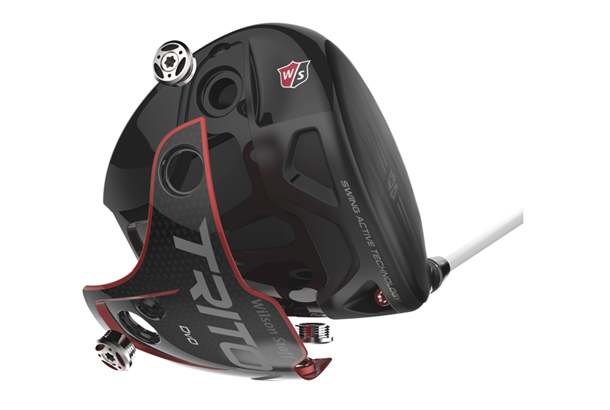 Amateurs don’t often get the chance to design their own driver. But Wilson Staff’s president Tim Clarke thought it would be interesting to see what normal golfers might come up with – so he teamed up with the Golf Channel to make it happen. Wilson put up a $500,000 prize and created a reality TV style show called Driver v Driver. After seven shows of dragon’s den-style product pitches, Eric Sillies’ design (a graduate of the University of Cincinnati) was chosen by Wilson as the one they wanted to bring to market. And his club would not only be sold at retail, but PGA Tour player Kevin Streelman would put it in play. 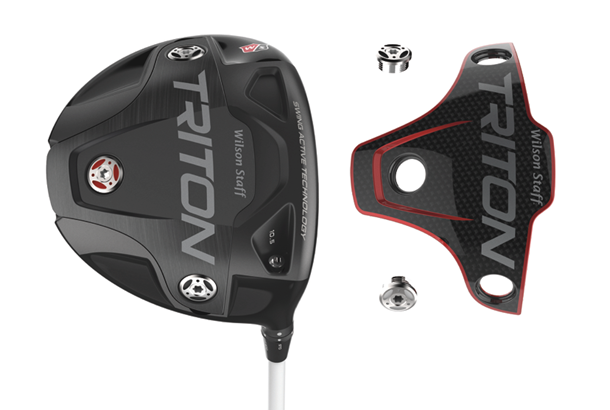 The Triton’s now available in the UK so we thought it was time to see how a driver designed by an amateur performs against one of our favourite big-name drivers of 2017. To ensure an accurate strike we got our test pro Chris Ryan to hit shots with the Triton in each of its set-up positions – with 22g titanium sole plate and a 9g carbon fibre version. Both can be interchanged, each held in place by three weight screws. The sole plates move the centre of gravity vertically, while the screws that hold them in place move it horizontally. Our Foresight Sports GC2 launch monitor collected data for each shot hit, with major misses being rejected. RRP £349. Lofts: 9° / 10.5° / 12°. Stock shafts: Aldila Rogue Black and Silver +10 custom shafts at no upcharge. How much loft change: +/- 1° (plus 3 draw settings). At 9g, the Triton’s carbon-fibre sole plate is as light as a feather, and less than half the weight of its titanium counterpart. Wilson say it’s for golfers who prefer a more penetrating ball flight and lower spin. It clearly delivered for our test pro, as spin dropped by 300rpm, ball speed rose by 2mph which all added up to an extra 10 yards of carry distance. Wilson says the 22g titanium sole plate positions more mass lower in the head and is aimed at golfers needing a mid to high launch with low spin. 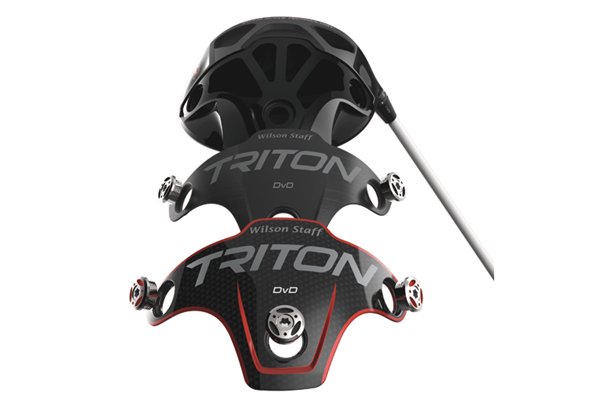 Our test pro is usually better suited to slightly higher launching drivers, but for him the Triton’s slightly higher-spinning titanium sole wasn’t his best match, even in its most forgiving set-up. a powerful and very capable club.